Stranger Things has been remade every which way from Sunday, and now we’re got a new 8-bit rendition of the modern classic. Sure, it’s got Eggo waffles, tired Will eyes, and a floating Millennium Falcon, but just look at the Demogorgon! It’s so precious I want to give it a hug— although I won’t, because I don’t think it would end well. CineFix has released its latest “8-bit cinema,” this time about the hit Netflix series, Stranger Things. It’s a solid tribute to the classic RPGs of the 1980s, with its fetch quests, old-school dialogue trees, and charming 8-bit tunes from Henry Dutton. 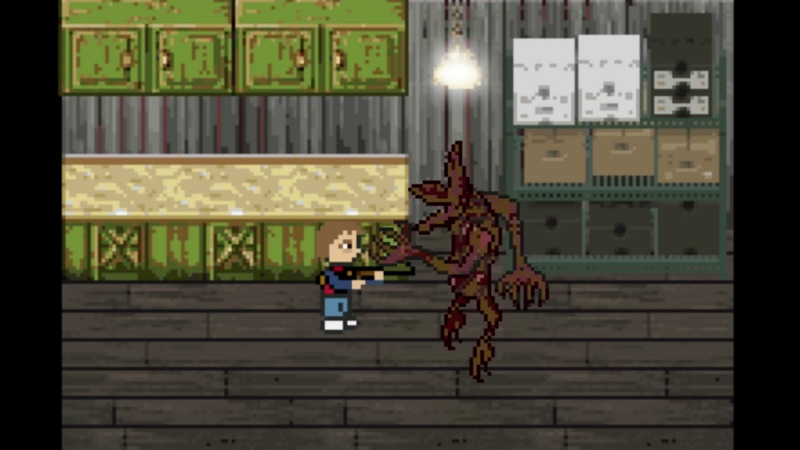 My favorite part of the video was how adorable the Demogorgon looks in 8-bit, largely thanks to director David Dutton’s animation style. This was a creature that haunted the series from the shadows until it made its horrific otherworldly debut, but here it just looks like a yeti ski jumper who only wants a friend. We’ve seen other 8-bit renditions of the series, like YouTubers Toon Doom and Frank Morales. This isn’t even the first video game-style creation inspired by the series. One fan made a point-and-click adventure earlier this year, which you can play for free.